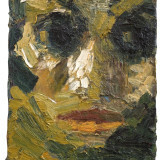 Tate Britain's major retrospective of painter Frank Auerbach is entering its final month. 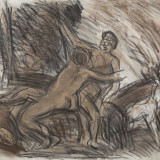 Considered Britain's foremost living artist, alongside his fellow painter Leon Kossoff, this critically acclaimed exhibition covers seven decades of an extraordinary career. Curator of the exhibition and selector of the last two rooms, Catherine Lampert, has had a long working relationship with Auerbach, and has sat for him in his studio every week for 37 years. This exhibition shows that whilst he continually paints the same sitters and sometimes returns to a particular London location, each painting can be considered for its own merits rather than be judged by style or period. For further information on the exhibition visit the Tate's website.